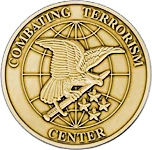 Combating Terrorism Center (CTC) er en akademisk institution under det amerikanske militærs akademi, i West Point, New York. Centeret står for undervisning, analyser, og forskning indenfor terrorisme, terrorbekæmpelse, og intern sikkerhed i USA. 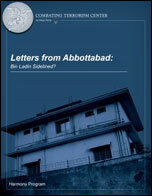 Denne rapport undersøger 17 deklassificerede dokumenter der blev beslaglagt under angrebet på Osama bin Ladens tilholdssted i Abbottabad, Pakistan, den 2. maj, 2010. Rapporten er udgivet af Combating Terrorism Center, ved West Point, NY, USA. This report is a study of 17 de-classified documents captured during the Abbottabad raid and released to the Combating Terrorism Center (CTC). They consist of electronic letters or draft letters, totaling 175 pages in the original Arabic and 197 pages in the English translation. The earliest is dated September 2006 and the latest April 2011. These internal al-Qa`ida communications were authored by several leaders, most prominently Usama bin Ladin. In contrast to his public statements that focused on the injustice of those he believed to be the “enemies” of Muslims, namely corrupt “apostate” Muslim rulers and their Western “overseers,” the focus of Bin Ladin’s private letters is Muslims’ suffering at the hands of his jihadi “brothers”. He is at pain advising them to abort domestic attacks that cause Muslim civilian casualties and focus on the United States, “our desired goal.” Bin Ladin’s frustration with regional jihadi groups and his seeming inability to exercise control over their actions and public statements is the most compelling story to be told on the basis of the 17 de-classified documents. “Letters from Abbottabad” is an initial exploration and contextualization of 17 documents that will be the grist for future açademic debate and discussion.